The Urban Times have posted an interview with Tomorrows Thoughts Today’s Liam Young for their ‘Back to The Futurist Series‘. The interview includes a description of recent projects, manifestos on the future of the architect and the role of the speculative project. Other futurists interviewed for the series include Mitchell Joachim, Noah Raford and Melissa Sterry. Darryl Chen and Liam Young have been invited to a panel of emerging practices to discuss how ‘the emerging generation is changing the practice of architecture”. 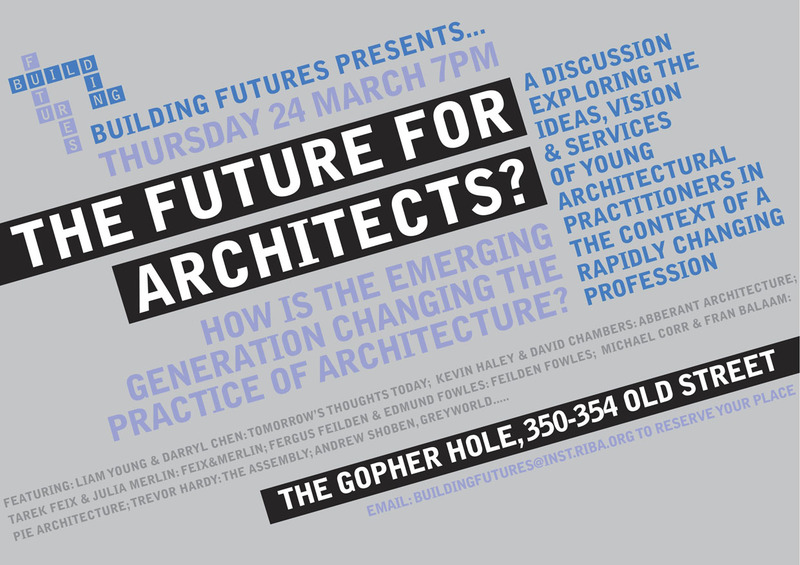 The event at the Gopher Hole this thursday 24 March is organised by RIBA’s Building Futures thinktank who have recently published a document about the future of the profession. Joining TTT on the evening will be Aberrant Architecture, Feilden Fowles, Ple architecture, Feix&Merlin, The Assembly and Greyworld. TTT’s model of a thinktank as a legitimate model of design practice short-circuits the traditional client-architect relationship in order to be free to explore the consequences of fantastic, perverse and underrated urbanisms. We reject the notion of the competition as an effective means of producing and disseminating work, instead self-initiating projects that explore social and technological phenomena with all the critical tools of design. We exist as a nexus among a cloud of specialists whom we work with on demand. These specialists include interaction designers, technologists, programmers, animators, fiction authors, scientists, policy writers, business consultants, and you!